Speaking to TMZ, MMA manager Ali Abdelaziz explained how Khabib Nurmagomedov reacted to this latest verbal assault from Conor McGregor. Apparently, the lightweight champ just smiled — which is a dangerous sign. Ali Abdelaziz then implored Conor McGregor to reel in the trash talk for the sake of his own safety — and that of his team. 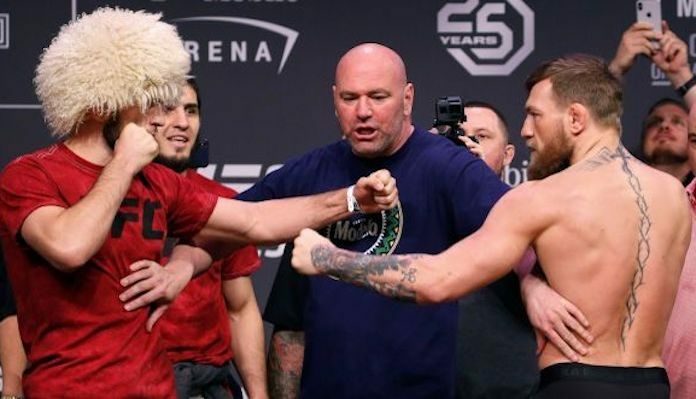 The manager then added that if Conor McGregor and Khabib Nurmagomedov were to cross paths in the streets, it might end with McGregor disappearing. What do you make of the situation between Conor McGregor and Khabib Nurmagomedov? Do you think the Irishman should heed the words of Ali Abdelaziz?